What does Sarah Geronimo hope to change when she returns for The Voice Teens? Sarah Geronimo points out her weakness as The Voice coach: "Hindi talaga ako sanay magbenta ng sarili ako. Hindi talaga ako magaling magsalita." 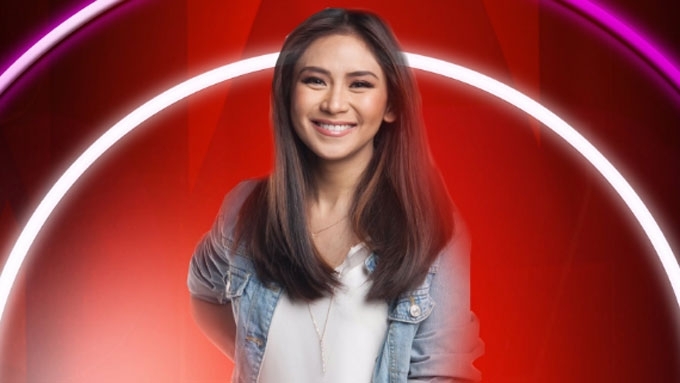 Vacation is over for Sarah Geronimo as she returns to her red revolving chair in the singing talent show The Voice of the Philippines. “Halu-halong emosyon po. Masaya that I'm finally back,” says the 28-year-old singer-actress, who took a break from coaching aspiring singers last year. But she quickly clarified that she couldn't say the same in the next seasons of The Voice. “Well, hindi ko naman po masasabi na hangga't may darating na mga seasons nandito ako. @JustSarahG is back in the game! This season is going to be interesting. Although she has been part of The Voice since it started in 2013 and has produced two grand winners—Jason Dy in the second regular season and Lyca Gairanod in the first season of kids edition—Sarah still feels challenged to be a coach. The ABS-CBN singer-actress admitted, “Hindi pa rin nababago, very challenging pa rin po siya sa akin. This Sunday, April 16, viewers will see how Sarah and her fellow The Voice Teens coaches Sharon Cuneta, Lea Salonga, and Bamboo Manalac will try to convince auditionees to join their respective teams. Since the contestants are teenagers, many think the Popstar Princess has an advantage since she's the youngest among the four coaches. “Actually, hindi po,” she said. “Hindi mo mabasa kung sino ang gusto nila, nung mga teenagers. “Minsan nakatingin yung bata kay Coach Lea 'tapos biglang si Coach Sharon ang pipiliin. Find out Sarah's strategies to convince The Voice Teens hopefuls to join her team during the blind auditions starting on Sunday, April 16, at 7 p.m. on ABS-CBN.